Canned pineapple + marshmallows + whipped topping = a salad. On top of the confusing geography and unique catch phrases (he's SCHNOOKERED! ), the Midwest's regional foods can seem a bit foreign. North Dakota juneberry pie, chicken paprikash hotdish, and puppy chow are just some of the dishes you'll come across. 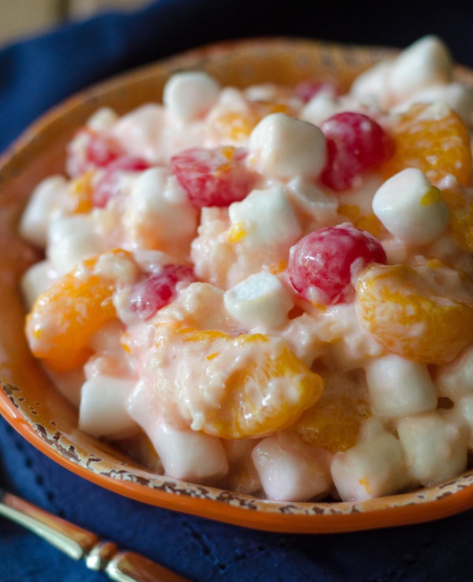 What it is: A mixture of canned pineapple, canned cherries, and mini marshmallows bound together with whipped topping or marshmallow creme served as a "vegetable" or side dish. What it's not: Something containing leafy greens, vegetables, or a dressing. Learn how to make classic Watergate salad here.